We conceived the CBV-32 to provide the best range of testing for electrical facilities such as circuit breakers (using gaz, oil, air, vacuum…) or synchronous condensers all the way up to 800kV and more. 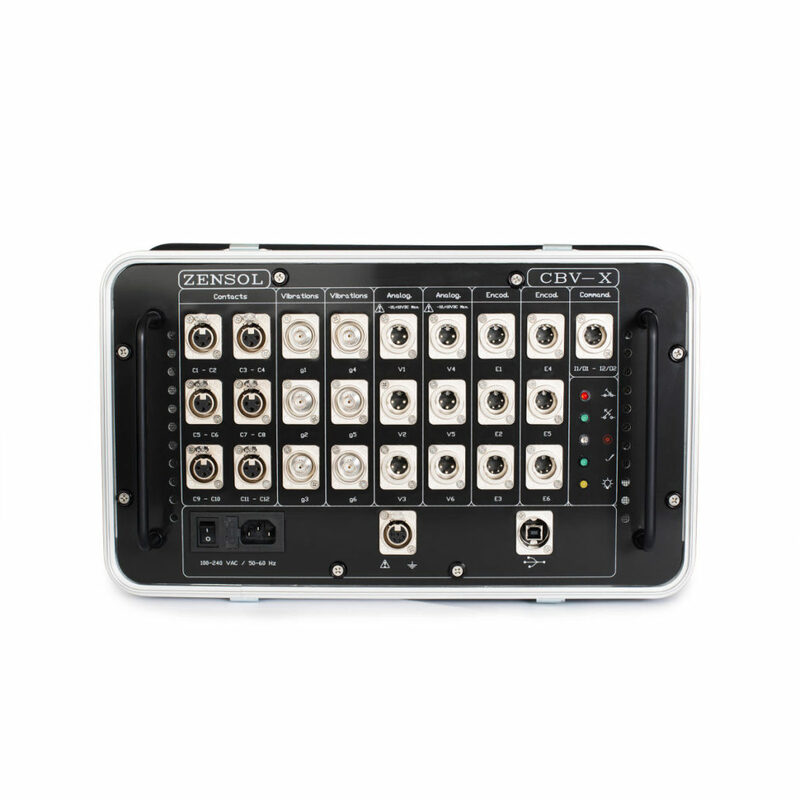 It combines Timing, Motion Dynamic Resistance Measurements, and Vibration, all in a single test. 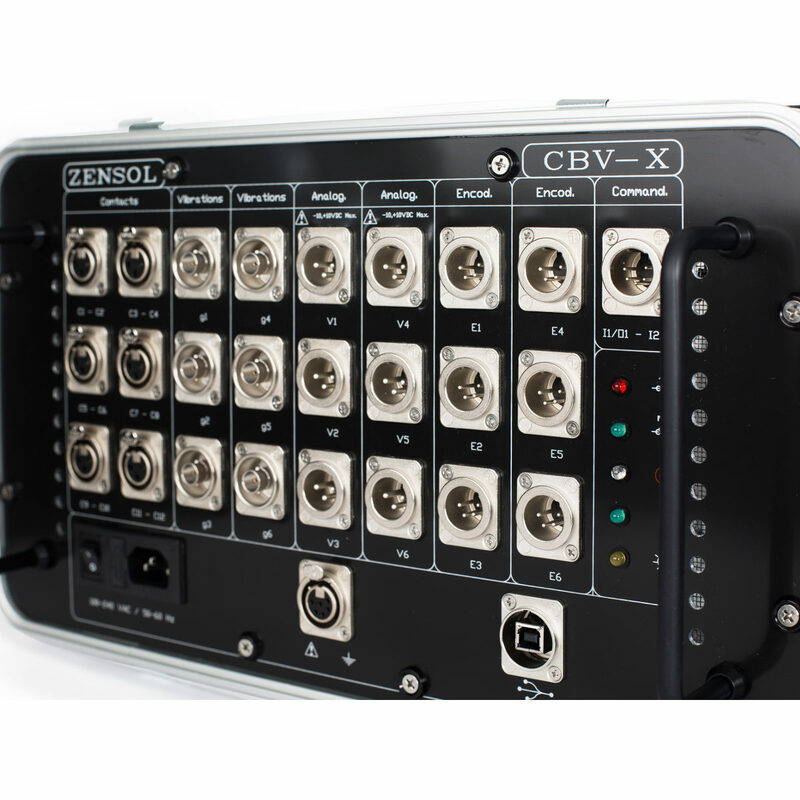 The CBV-32 was built to perform tests with an extreme precision of 1µs (1MHz), which gives the user the finest details about the state of the machine. Combined with the full range of available tests, this makes the CBV-32 able to detect more mechanical problems than standard tests would. Our vibration method is a non-intrusive test. It can also be performed while the circuit breaker is ONLINE to avoid stopping and opening the breaker to run a test. All dangerous (SF6 gaz) or essential components (vacuum) that may contains your installation are kept untouched, which also makes the CBV-32 safe and eco-friendly! OpenZen is an-all-in-one software that includes all the necessary tools for testing, processing, calculations, analysis and interpretation of results in the field or in the laboratory.